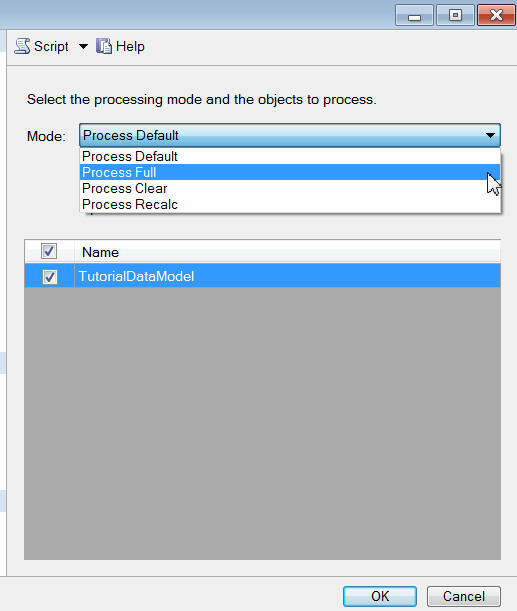 The previous page shows how processing works; this page shows how to do it! You can process an individual table, all tables, or else all of the tables using a particular connection (the options are described under separate headings below). 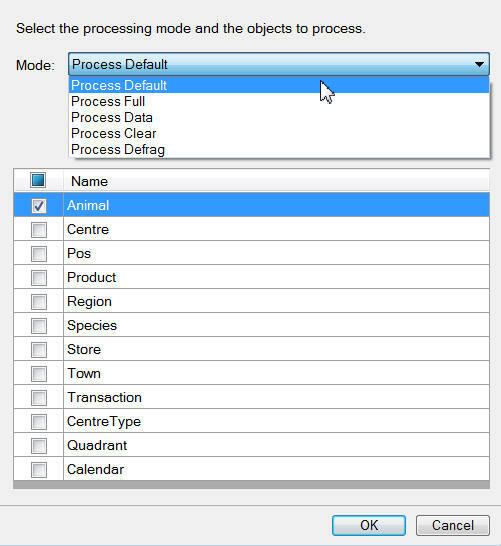 Choose this option to process a table. Choose to look at your existing connections. Choose to process all the tables using this connection. 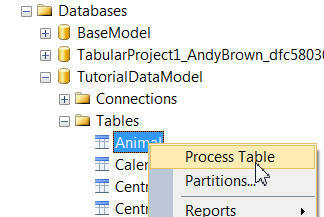 Choose this menu option to process all of the tables in a model. Right-click on your project and choose to show its properties. 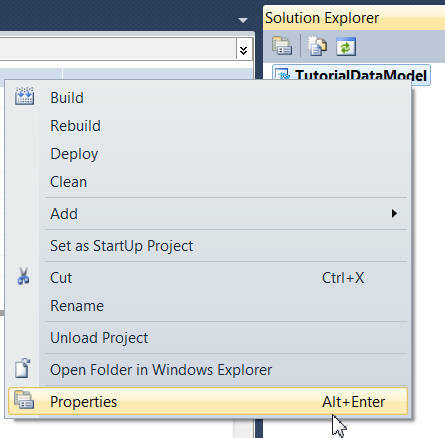 In the project's properties window, change the default processing option (if you choose Do Not Process, SSAS will copy metadata when you deploy a project but won't load any data). "Metadata" are the definitions of your tables and relationships, specifying which tables, columns and rows are included in your model, but not including the data itself. 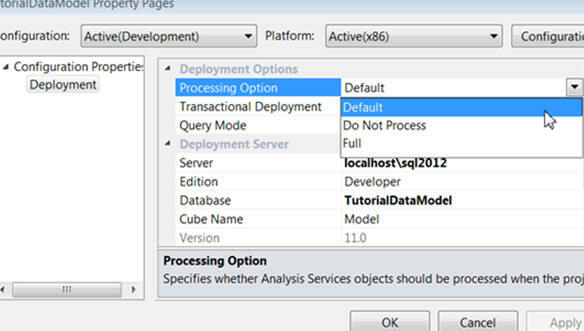 Right-click on the model you've deployed to Analysis Services, and choose to process it in its entirety. 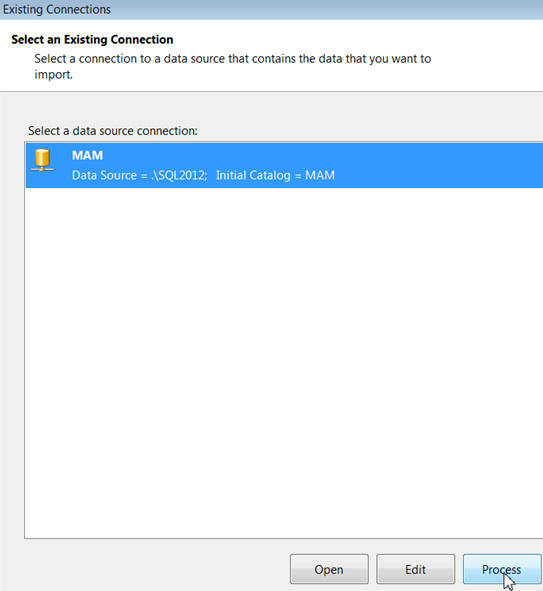 Choose how you want to process the data. 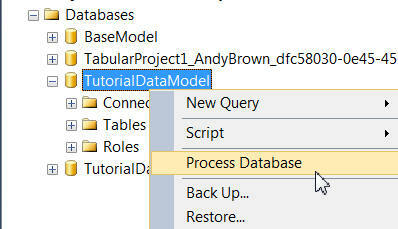 Process Clear wipes out all existing data, without reloading it (essentially deleting the contents of the model). 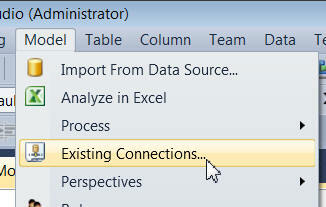 Right-click on the table you want to process, and choose the option shown. You've now got complete control of what you process, and how you do it! That's pretty much the whole story on processing (with the possible exception of partitions, covered in a separate blog). The final thing I want to look at is some ideas for speeding up processing.